As the leading Brighton Park based cleaning company today we are in a position to provide you with many useful and cost-efficient cleaning solutions for your home. Our Brighton Park, 60608 maid service is held in a particularly high esteem by our clients, because it guarantees that the regular domestic sanitation needs of the client in question are to be covered in a manner that is professional, eco-friendly and reliable. Having a cleaning lady in 60616 to tidy up and sanitize your home is no longer a thing reserved only for the reach. What we try to do is offer a service that is affordable to as many people as possible, and we firmly believe that we manage to accomplish that – the outstanding customer reviews that we constantly receive are a proof of that. Book the maid service in Chicago that suits your needs best by simply getting in touch with our polite and very helpful around the clock customer support today. We can be reached over the phone and via email. 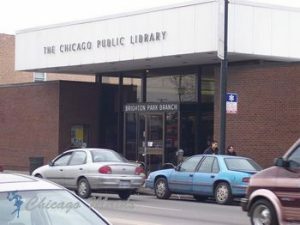 We operate on the territory of Brighton Park in southwest Chicago. The character of the neighborhood is pretty mixed – there are residential areas, commercial sectors and industrial estates. The current population of the area is estimated to be 45,368. Crime rates here are lower than the average for Chicago.